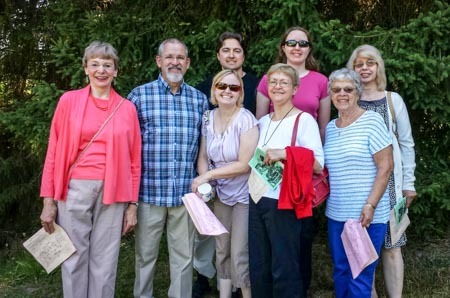 This past Sunday, members of Maple Leaf Lutheran Church in Meadowbrook took a tour of the Seattle Parks and Rec site. Located 5 blocks from the church (10005 32nd NE) this community project is supported by the membership. Hosting the establishment of MC2 in 2008, the church’s goal for partnership was achieved. Supporting the MCGO project is an important part of the church’s efforts to show their care for the community.